Rolls Royce - I Say Ding Dong Shop - Buy Stickers, Decals & Unique Automobilia. Kangol Seat Belts Lift Style Shaped Stickers. 1" Pair. Lucas Two Speed Windscreen Wiper Sticker. 2.5". Made in England Text & Outline Sticker. Gold & Clear. 2". Made in England Union Jack Flag & Scroll Stickers. 2" Pair. 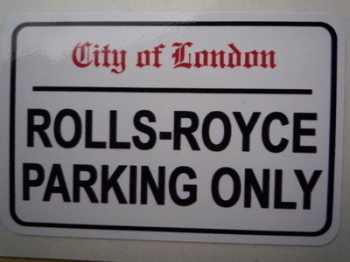 Rolls Royce 'Please Return for Service' Sticker. 3.5". 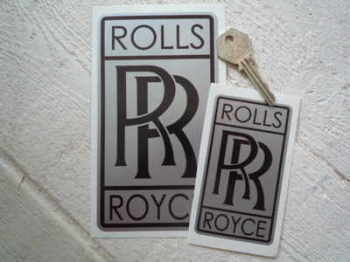 Rolls Royce 'RR' Tall Oblong Stickers. 2", 4" or 6" Pair. 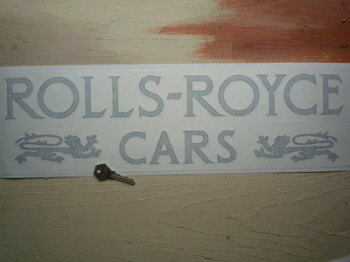 Rolls Royce 'RR' Tall Oblong Stickers. Set of 4. 1". Rolls Royce 'Spirit of Ecstasy' Handed Stickers. 12" Pair. Rolls Royce 'Spirit of Ecstasy' Handed Stickers. 4" Pair. 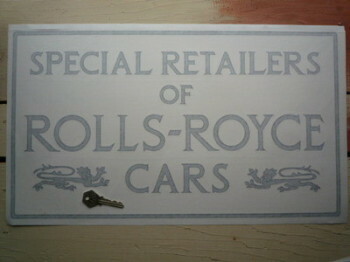 Rolls Royce Cars Special Retailers. Dealers Style Sticker. 20". Rolls Royce Cars. Dealers Style Sticker. 20". Rolls Royce Parking Only. London Street Sign Style Sticker. 3", 6" or 12". Rolls Royce RR Black Shaded Style Wheel Centre Style Stickers. 25mm or 50mm Pair. 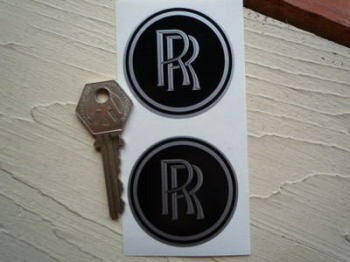 Rolls Royce RR Black Wheel Centre Style Stickers. 50mm Pair. 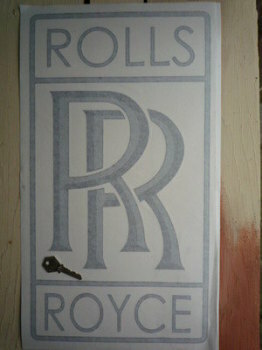 Rolls Royce RR Logo Cut Vinyl Sticker. 19.5". 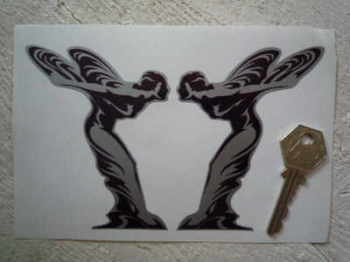 Rolls Royce RR Plain Black Wheel Centre Style Stickers. 25mm or 50mm Pair. Silver City Airlines Air Ferry Circular Logo Sticker. 95mm. Waso Car Alarms Classic Car Window Sticker. German or English Text. 2.75". Webasto Continental Sun Roof A Owen Coachbuilders London Laser Cut Car Badge. 3". Webasto Sunroof Harold Radford Coachbuilders Laser Cut Car Badge. 3".